We woke up quite early the next morning as we have to grab breakfast before go for our tour. NEVER ever book your tour at the airport or tour agents where the taxi or van brought you before sending you to your hotel. There's no need to worry on booking tour for your stay as there're plenty of tourist information counters everywhere, especially in Ao Nang. When I say plenty, they are like every few shops, and you can bargain for the cheapest price! And it's the same thing for your final day airport transfer, get a joint airport transfer for 150 baht per person and sit comfortable in a spacious air-conditioned van from your hotel to the airport on your last day in Krabi. I did this cutesy Minnie Mouse bun hairdo for Yuen Teng! I swear it's super duper easy! I always wake up early during my trips just so I can do my hair with some minimal makeup that possibly lasts for a day, or at least for the tour! 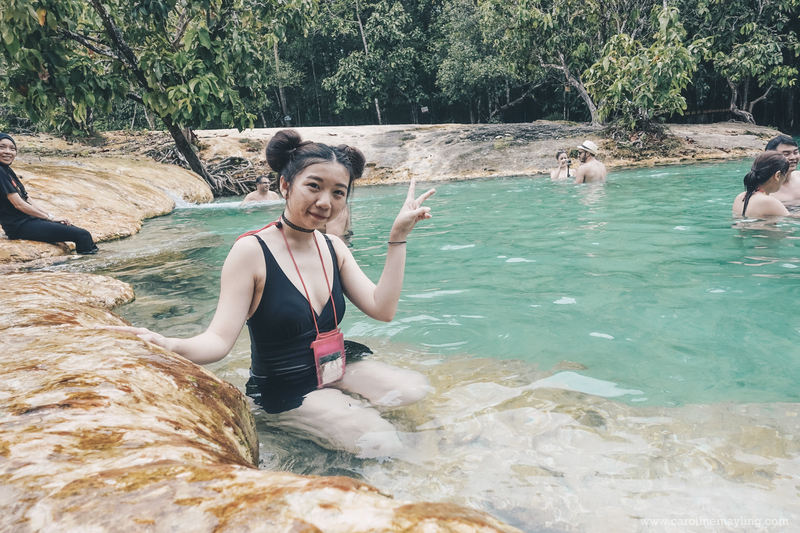 For any Emerald Pool tour package, it always comes with this hot springs as part of it as it is located quite near to the Emerald Pool. 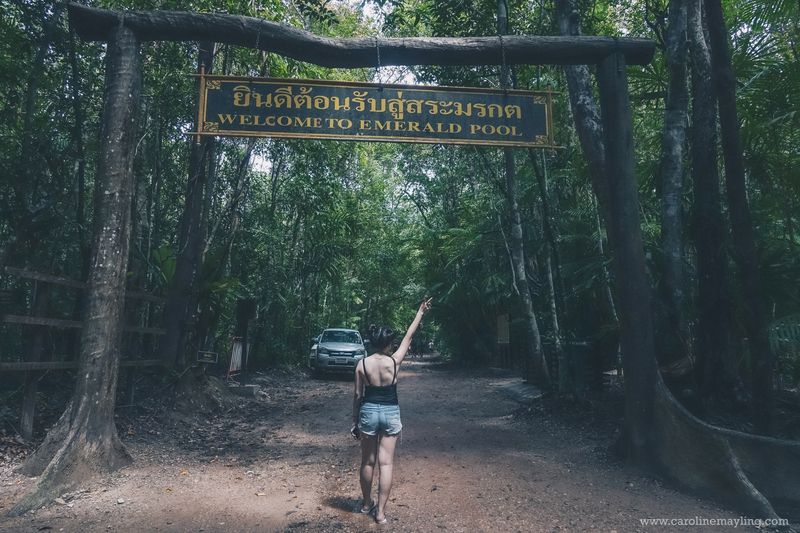 It is quite far away from Krabi town (approximately an hour journey). You can rent a bike or car to go here, but I personally find it easier to go on tour especially when we get it at such bargain price! tip: bargain! 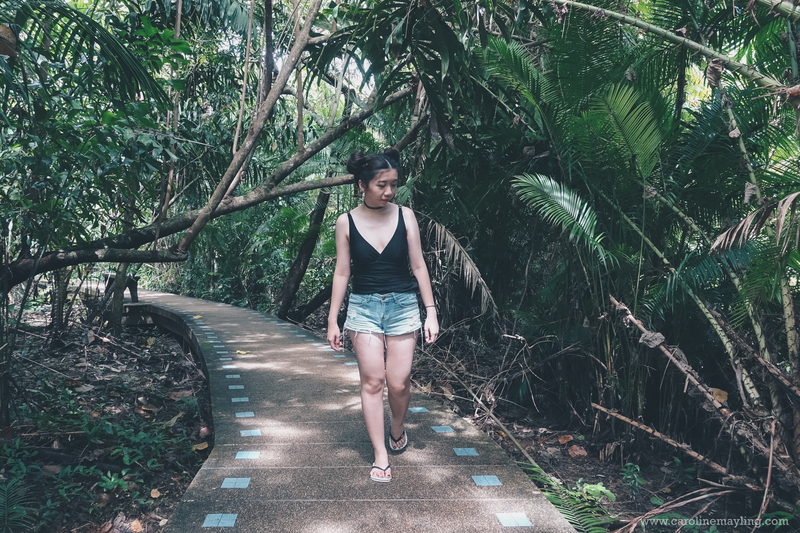 You will have to walk for quite a distant as it is actually inside a shady forest area with numerous hot springs in it. You'll see those hot tubs like hot springs and you can just choose one to dip in. 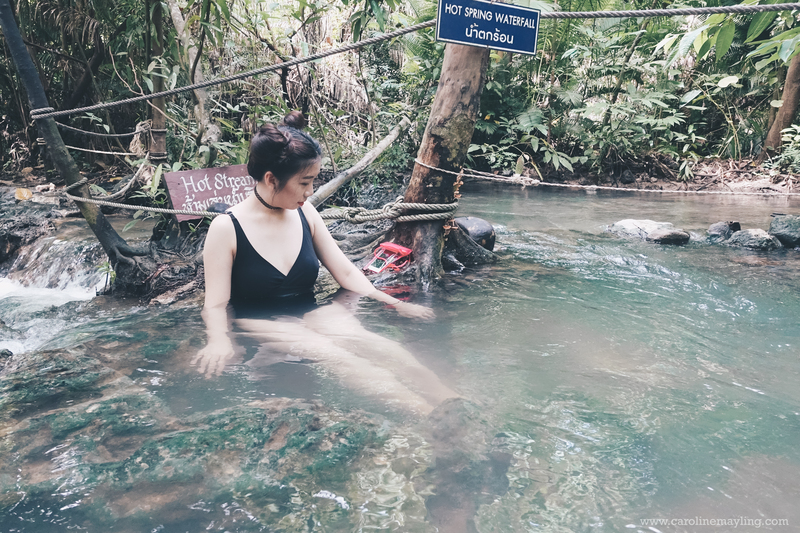 It wasn't as nice as my first trip to here as the water actually just warm and around 25 degree Celsius instead of its usual 35-40 degree Celsius. 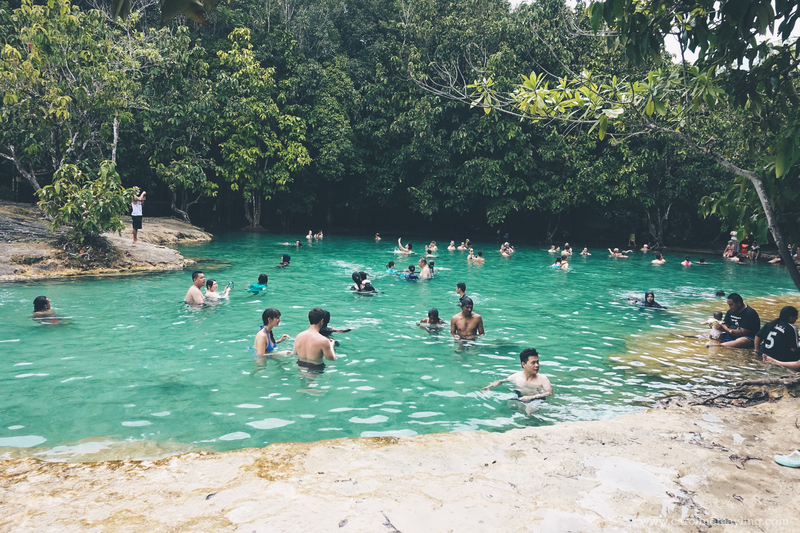 This is the main highlight of the tour package, as they said a visit to hot springs would not be complete without a trip to the nearby Crystal Pool aka Emerald Pool in Khao Phra Bang Khram Nature Reserve. 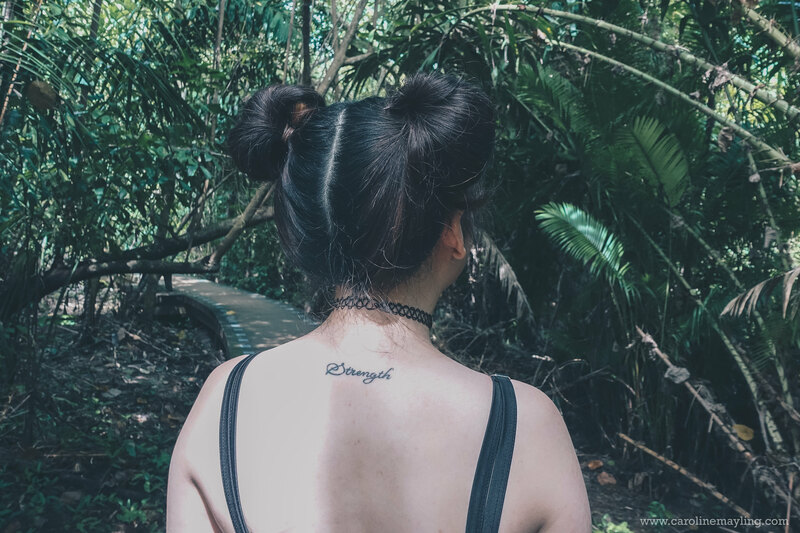 Be prepared to walk further inside through the Khao Nor Chu Chi forest (1.2km) and of course you'll get to enjoy the surrounding nature too. You'll actually reach the Emerald Pool first. However, the another must-see site in the reserve is this amazing brightly coloured Blue Pool. 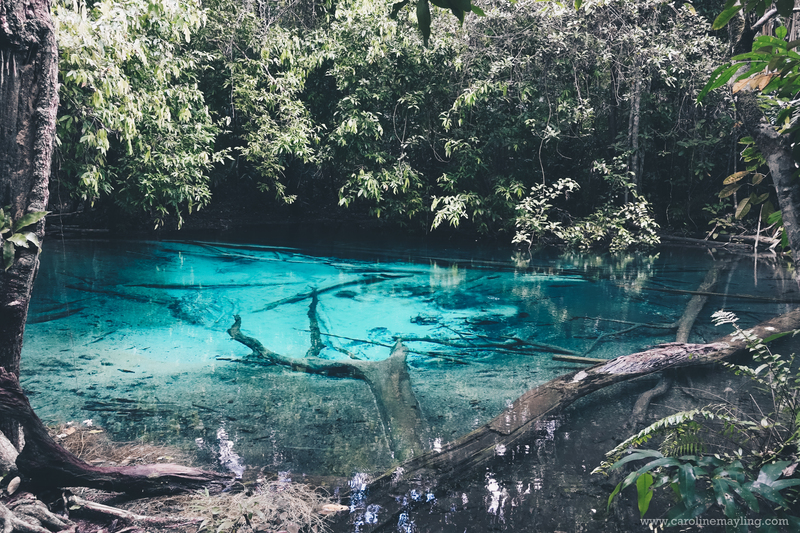 It is located additional 600m further upstream from the Emerald Pool, hence it's better to visit this site before start dipping in the Emerald Pool for ultimate joy! As magical and inviting it looks like, no swimming allowed at Blue Pool as it is actually hot and surrounded by quicksand. It's either you come here early in the morning or late afternoon to avoid the massive tour crowds. A clean pool in the middle of the jungle, how fascinating it is! note: it's very slippery around the pool so please be extra careful and never ever bring too much stuff for this tour. The weather wasn't as pleasant as we wished, it started drizzling and we quickly pack our stuff and walked back to the tour van. Thankfully it was just a half-day tour and managed to get back to our hotel around 2pm in the afternoon. We then went to grab some quick lunch and grab some drinks before get back to our hotel. 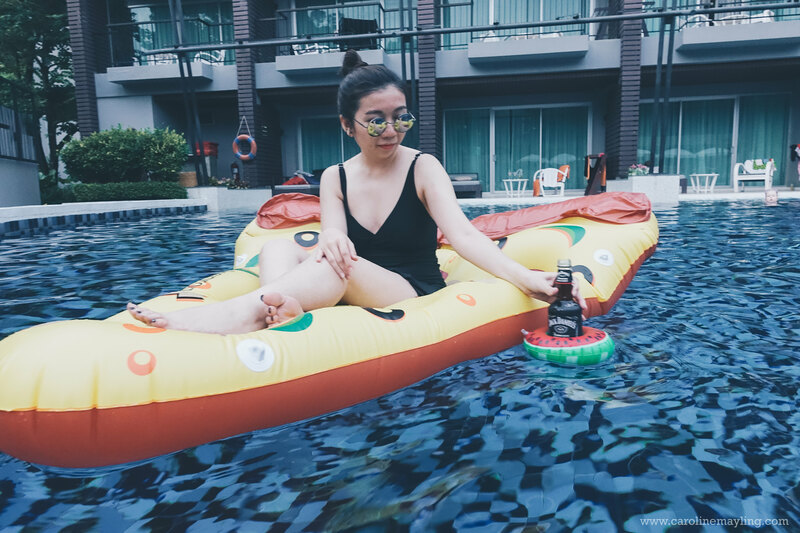 In the late evening, we took our massive pizza float together with our mini drink holder float to continue our chilling sesh at the pool. The spa tub is amazing! It looks great! I have never tried hot spring. Thank you for sharing the article!